EMG was founded in 1976 by Rob Turner in Santa Rosa, California, their first pickup was the same as the current EMG H and EMG HA models. The active humbucking pickup EMG 58 followed soon after. In 1981, EMG active pickups became standard equipment on Steinberger basses and guitars and as Steinberger guitars became more popular among American metal and rock musicians, so did EMG pickups. 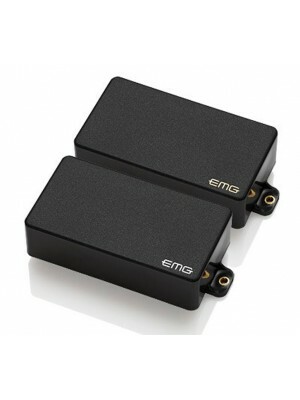 Low impedance and low noise coupled with a low magnetic field make these pickups ideal for use with high gain amplifiers. Known the world over as one of the greatest guitar players ever, Zakk Wylde relies on his 81/85 ..